I love spring and I love making stickers in fresh and vibrant colors, so today I made these LadyBug Stickers for Happy Planner and ECLP. I hope you have already downloaded the honey bee themed stickers already. You can not only use these stickers in your happy planners and Erin Condren Life Planner but also in various craft related projects and as jar labels and gift tags. These are only for personal use but you can get as creative as you can while using these stickers. 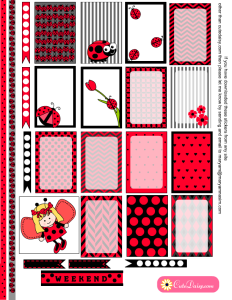 In this planner kit I have added 15 stickers for HP and ECLP boxes, 2 thin washi tapes, 1 weekend sticker, 4 checklists and 2 header stickers and a cute ladybug girl. 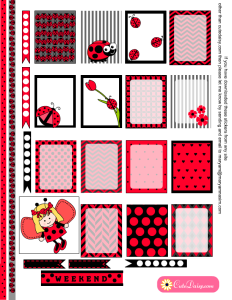 You can mix and match these stickers with other stickers that I have created such as polka dotted stickers in various colors, red stickers with polka dots or black and white stickers. 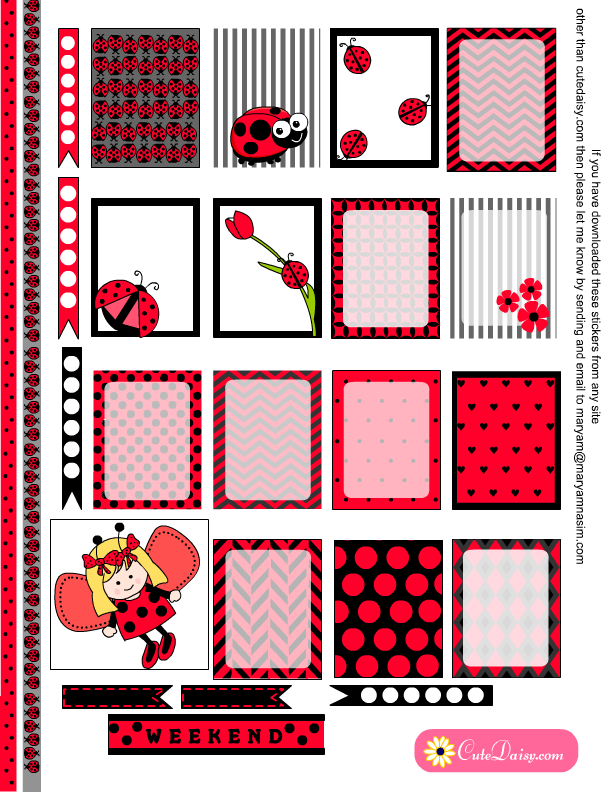 This is a cute and cheerful set of stickers for spring season with adorable ladybugs. 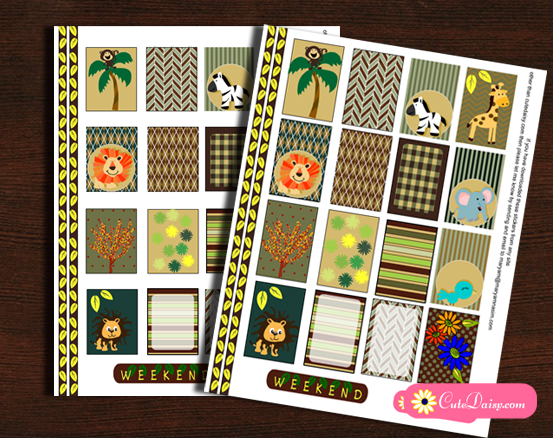 I have created these stickers for happy planner in 1.5″x2.25″ in size and you can cover the header area with these two cute thin washi tapes that I have made. Click here to download these stickers. 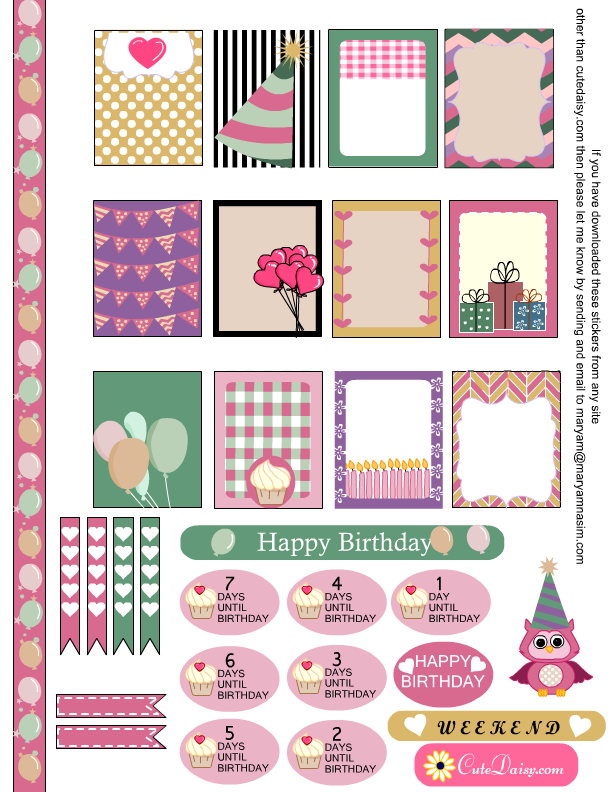 Click here to download this adorable kit for your ECLP vertical’s boxes. Awww, too cute!! Thank you Maryam. Unfortunately I have to wait several months to make the planner page, as Autumn is approaching here (Australia), not Spring… But will definitely use it, it is too cute not to! 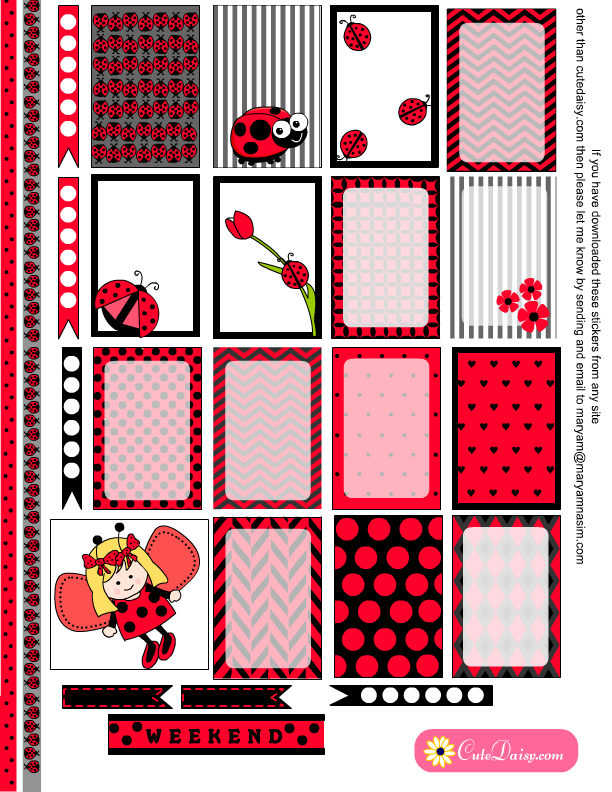 Love these cute ladybug planner stickers! 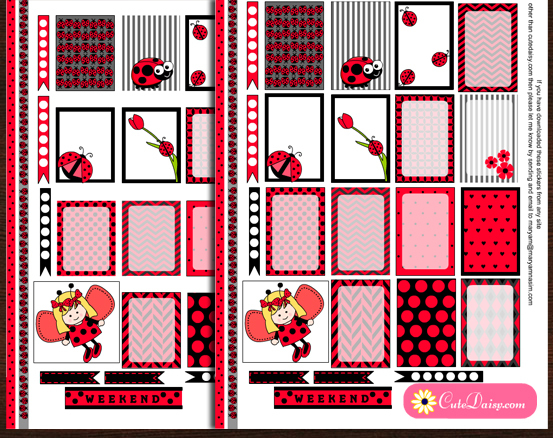 Unfortunately, the red/black polka dot thin washi didn’t print as the layout was too wide. Was wondering if you could move the items closer together in the layout so nothing gets cut off? Thank you, I am so sorry that you have this inconvenience in printing this washi. I cannot change this layout now but I’ll be careful in future and will try to make items closer. 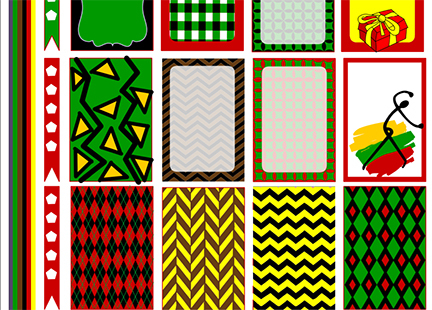 can these printables be cut on a cricut explorer air machine? Arlene please post this question on the group wall. Oh I love lady bugs! Thank you. Thank you, I love ladybugs. 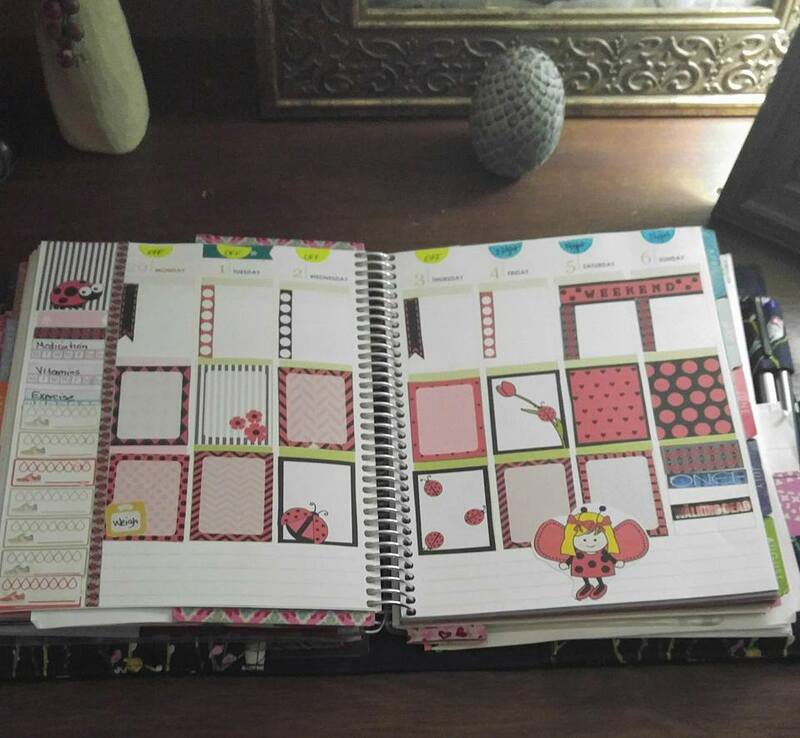 Thanks to you my planner for spring now will look wonderful. Keep up the great work. Thank you again for the beautiful printables. I will post this layout and A few others in coming weeks. Love your work! Very talented and I sincerely thank you for sharing it with us!